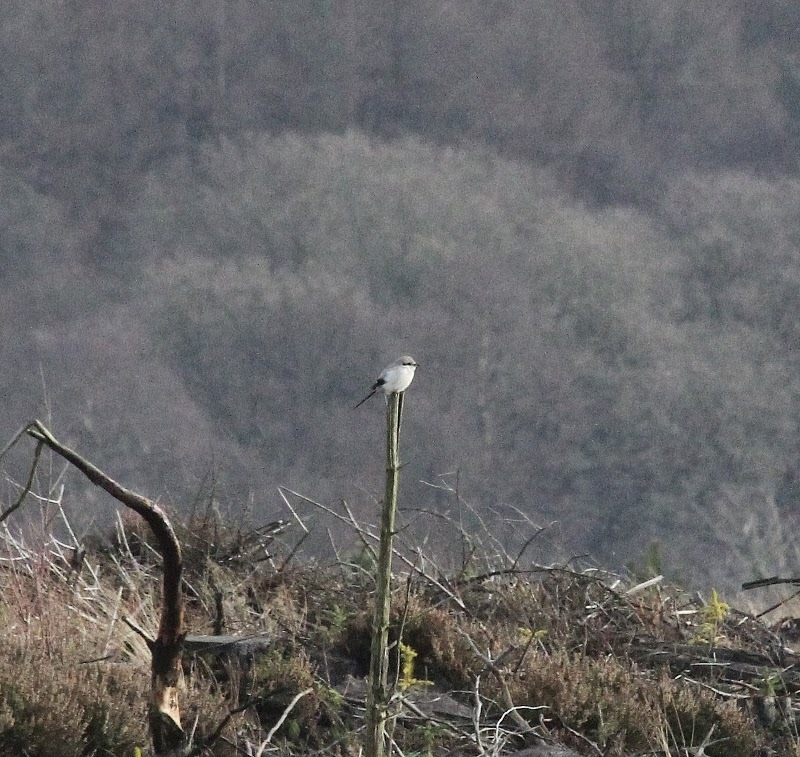 In Langdale Forest a Great Grey Shrike was in the clearing at Stony Knoll just north of Low Farm. Also seen in the forest were 2 Goshawk, the years first Jack Snipe, at Maw Rigg, and 12 Crossbill. The Firecrest was still at the Mere, at B&Q there were 10 Waxwing with another 9 seen in Crossgates. Elsewhere at least 9 Whooper Swans were by Flotmanby Carr, 75 Teal and 4 Tufted Duck were on Johnson's Marsh, 450 Lapwing and 80 Golden Plover and 24 Dunlin were on Cayton Carr and 7 Red-throated Diver, 4 Guillemot, 36 Skylark, 4 Reed Bunting, 6 Lapland Bunting and 35 Yellowhammer were at Long Nab. It wasn't a bad day for movement either, past Long Nab (south unless stated) were 1 Red-throated Diver north, 11 Gannet, 3 Cormorant + 6 north, 1 Wigeon, 1 drake Velvet Scoter, 1 drake Long-tailed Duck north, 2 Turnstone north, 1 Mediterranean Gull, 53 Black-headed Gull, 38 Common Gull, 446 Herring Gull, 27 Great Black-backed Gull and 2 Guillemot.